Simply return your Volkswagen lease. Buy or lease a new Volkswagen. Buy your current VW lease. At Brandon Volkswagen, you can simply return your leased vehicle and leave, but we highly recommend browsing our new Volkswagen inventory first. Want to upgrade from a Volkswagen sedan to an SUV? You can! Come find the perfect model for you by buying or leasing a new Volkswagen when you return your current VW lease. Or, if you’ve enjoyed your relationship with your Volkswagen lease, you can continue to drive it for years and miles to come. 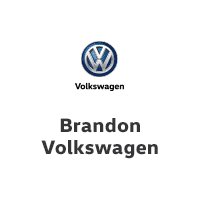 Just ask the Brandon VW team about purchasing your Volkswagen lease. Let our Tampa VW dealer be your guide during the Volkswagen lease return process. If you’re nearing the final months of your VW lease, start considering your Volkswagen end-of-lease options today!